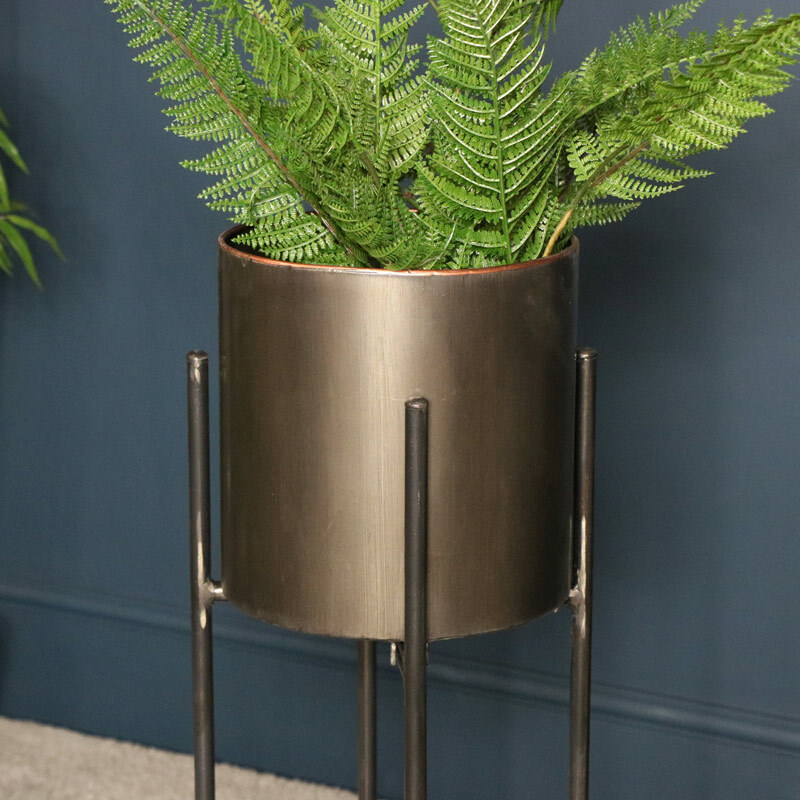 Tall planter with round vintage brushed gunmetal grey plant pot on black metal folding stand. Ideal for indoor use and creating a botanical display. Deep metal plant pot, ideal for displaying favourite flowers and plants. Easily suits modern, contemporary styled home decors. Perfect for displaying in the living room or hallway to add a little greenery and decorative effect. 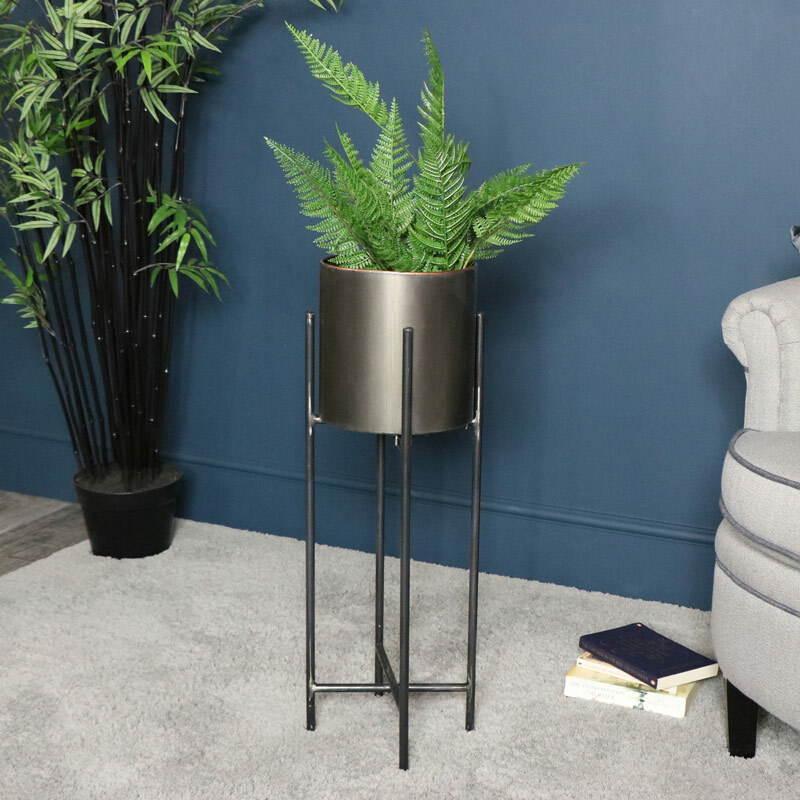 Tall planter with round vintage brushed gunmetal grey plant pot on black metal folding stand. Ideal for indoor use and creating a botanical display. Deep metal plant pot, ideal for displaying favourite flowers and plants. Easily suits modern, contemporary styled home decors. Perfect for displaying in the living room or hallway to add a little greenery and decorative effect. 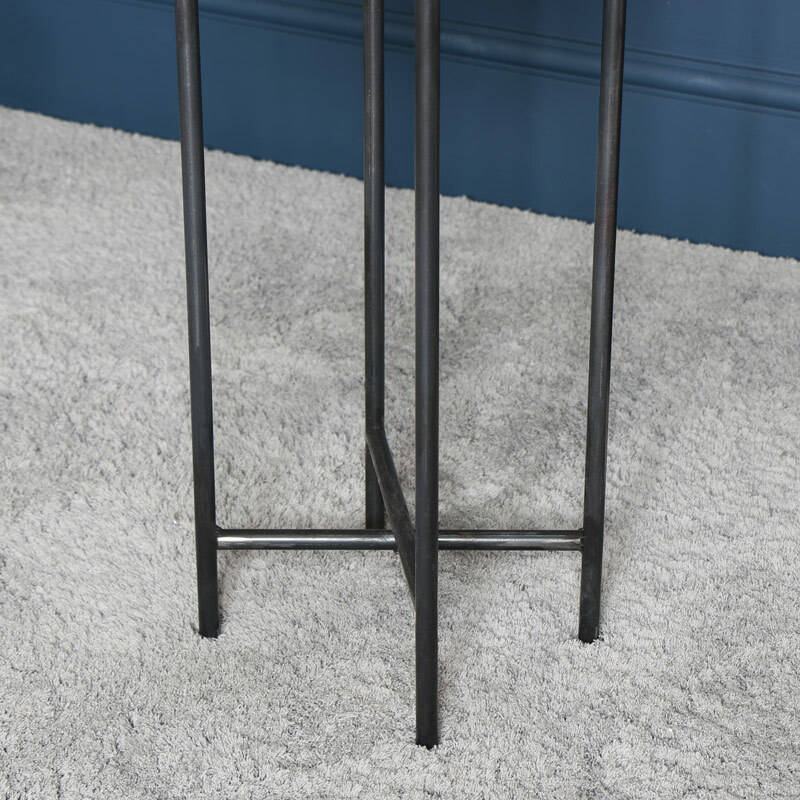 Constructed with vintage gunmetal grey planter on black metal painted folding stand.